More people are beginning to realize that precious metals investing is necessary to position themselves well in times of war and peace. This is because precious metals such as gold and silver are viewed widely as both money and commodity. Precious metals are not just tangible goods but something of great intrinsic value. Precious metals investing are also tied closely with geo-political and global economic situations. For example, when there is weakness in the economy or fear of inflation, the price of precious metals, especially gold trading price, will tend to inflate. When there is potential geo-political tensions and conflicts such as the current skirmishes between the North and South Korea, it will impact gold trading price – driving it further up. Gold play an important role in war since ancient times. Before the invention of paper or fiat currencies, nations used gold or other precious metals to raise and maintain their armies. This is because gold is the real currencies. The cost of war is paid for mostly in gold. Some of the gold is obtained from taxes or confiscated from conquered lands. The quest for gold has driven the Spanish and English to hunt for precious metals in the New World and Central America. Precious metals investing took a new form during and after the second World War. With the gold standard and rapid rise in inflation in some countries, the prices of precious metals went through a wild ride. The wars in the 2oth century like the Soviet invasion of Afghanistan, Iraq’s invasion of Kuwait and subsequent Gulf war caused strong reactions in the gold trading prices. Terrorism has also played an important role in increased precious metals investing. For example, the attack on U.S soil saw a marked increased in people buying gold. A strong motivator for precious metals investing is Fear. Actual conflicts and war cause jitters, but the fear of potential war can also drive prices of precious metals. This is because no matter how small a conflict is, it could still potential cause political and economic instability. Wars can be expensive and a drain to a country’s resources and can drive up inflation. When that happens, people flock to precious metals investing as a hedge against inflation. Precious metals investing will also get a boost from fear of devaluation of fiat currencies. For example, when the U.S Federal Reserve announced the Quantitative Easing II in a bid to improve the U.S economy by pumping $600 billion dollars into the market, it drives up gold trading price because gold as traditionally be viewed as a store of wealth. Even today, there are some catalysts that can drive more people towards precious metals investing leading to more gains for gold and silver trading prices. Hot spots like Afghanistan, Iran and North Korea are areas of potential conflict. The current economic weakness in the U.S and Europe as well as global political uncertainties seems to provide a great boost for gold trading price. Therefore, precious metals investing is essential in times of both war and peace. Precious metal investing should be an integral part of your overall investment portfolio. People will still prefer precious metals investing to fiat currency, especially in times of economic uncertainties. Precious metals investing includes not just gold, but also metals like silver and platinum. Before you dabble in precious metals, it is important to know that those who succeed in precious metals investment have spent a lot of time and effort to master it. There are also various types of metals that you can invest or even trade. As we continue with the article, I will briefly introduce you to the different kinds of precious metals investing methods as well. In this article, I will cover silver investing and the various types of silver trading techniques. 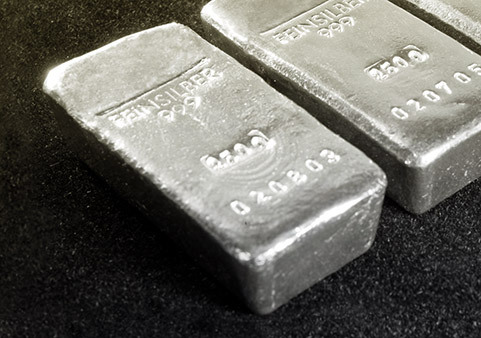 The most straight-forward way to invest in silver is of course to buy physical silver. Buy silver Toronto and save now! You can buy and sell silver through physical stores (if you can find them in your country) or through companies which trade silver products. You can even buy silver online nowadays. A faster and easier way is probably to do silver trading online. The advantage of silver trading online is you don’t need to take delivery of any physical silver, thus saving you some costs related to transport and safekeeping. More and more people choose to buy silver online. Others choose not to buy silver online because they don’t know how to or they don’t think it is safe to buy precious metals online. However, the level of security and sophistication or online businesses has improved over the past few years and many issues of safety has been adequately addressed. As long as you do your homework and buy silver online from reputable companies or e-commerce websites, you should be safe. It is relatively easy to buy silver online, so one should make full use of it to save time and money. You save money because some e-commerce website offers free shipment if you order above certain quantities of silver coins for example. Moreover, there are so many companies who in order to save physical office space, tend to have online companies which cater to such trading. The purchase of certificates and call and put options are usually done online, therefore making it easier for general public to buy silver online. Do you know that silver is one of the most used metals worldwide today? It is not just another precious metal – it is also an important industrial metal. Silver is used to make components found in mobile phone and many other electronic products. Silver is also called the poor man’s gold as it is cheaper to buy silver than gold. There is also a growing demand for silverwares. For example, women in many developing countries prefer to wear silver jewelry as it is more elegant and durable than artificial ones. Although the price of silver has risen significantly in tandem with gold, there is further upside for silver. This is because silver is an industrial metal and its demand will start to pick up once the global economic situation improves. As such, you should consider to buy silver online when the price weakens so you can sell it at a higher price when the price starts to increase again. If you are new to precious metals investing, you may find it daunting to invest in silver or may be confused on how to trade gold. Let’s what happen to me when I just started my precious metals investing business a few years ago. It’s definitely not an easy investing to do! But I managed to do it after spending a great deal of time and patience, doing lots of research and reading. 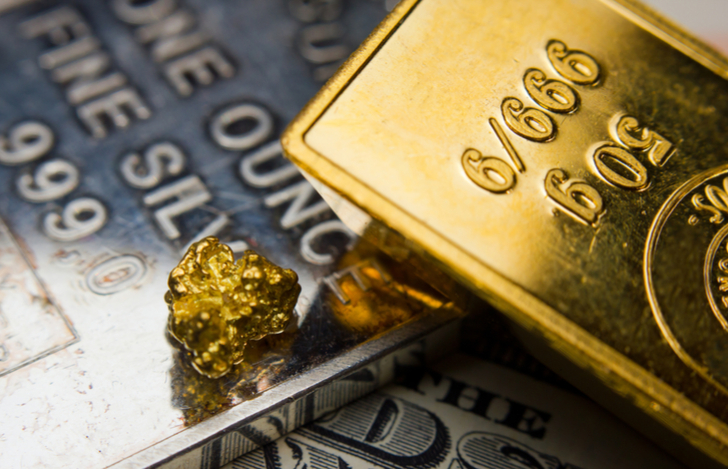 When it comes to investing in gold and silver companies, there are many pitfalls and traps beginners in precious metals investing and even experienced investors can fall into. The good news is that if you buy gold and silver mining companies the right way, the market will eventually reward you as it the value will ultimately be reflected in the share price. You can take the short term price fluctuations and market inefficiencies as opportunities to build your precious metals investing portfolio by buying when the price is low. Over the longer term, the winning gold and silver mining stocks will be there for all to see. We are now in the best era to do online gold trading. As you know, we are in a strong bull market in gold now for near on a decade. There is a tons of information regarding gold trading and silver trading, information which you can be useful for your precious metals investing. When you combine this with some of these key factors, you can be on your way to a profitable precious metals investing journey. Where Should You Focus For Precious Metals Investing? Exploration – A precious metals company may be exploring for a potentially viable deposit to mine. Development – A precious metals company owns a deposit and has conducted studies to determine its viability. Production: A precious metals company has deemed a deposit viable, built a mine and is producing the precious metals. The stage in precious metals investing you should focus your attention on is the production stage. Once a company is producing there are literally few places to hide. All false claims and reports that are prevalent in the development state cannot be hidden and are for all discerning investors to see. Precious metals investing is a game of imperfect and incomplete information. In the precious metals sector, information in the development stage are at most incomplete and hard to come by. However, when production starts, more information will be unfold. You will notice that the risk/return profile also reflect this information flow. It perturbs me that many who are new to precious metals investing focus on the exploration and development stages. maybe there are attracted to the potential of big profits. However, they may not be aware of the high risks involved by doing precious metals investing at these stages. Therefore, if you are new to precious metals investing, the safest and more logical area to focus on is the area where the most information are made available i.e. the production stage. In this way, your chances of becoming an instant millionaire may not be as high but you can be more assured that your longer term returns are more viable and your returns can still be very attractive. This refers to the ability of the precious metals mining company to generate free cash flow from its projects. You need to ensure the company has enough to pay off debt associated with project development, or to reinvest into exploration and acquisitions to help grow and secure the company’s future. Profitable companies are less likely to dilute shareholder wealth this will reflect positively in the company’s share price. This refers to the precious metals mining company’s ability to grow production over the long term while adhering to our profitability requirements. Be careful of companies grow production for the sake of it, without properly considering important factors such as return on investment. This refers to the ability of the company to sustain its production and not run out of reserves of precious metals. The gold and silver trading market is known to punish companies which have high cash balances with very little reinvestment in new projects. Therefore, It is vital for a precious metals mining company to grow its business within the confines of what it can realistically sustain. Therefore, the best precious metals investing is to select companies that outperform in these three important areas. Chances are these companies have excellent management teams with the knowledge and experience to excel in these three areas for the future benefit of shareholders like you. You should also look at the track record of the companies. The longer their successful track record, the more credence and confidence you should give them. In this way, you can find precious metals investing to be an easy investing indeed.